Statistics reveal that a whopping 74% of us have had a tooth extracted1 and when we consider how often we use our teeth and what for – it is amazing just how important a role they play in our lives. Did you know that if you have a missing tooth – either lost in an accident or due to dental disease – it can affect your health, the way you eat and speak as well as your appearance? 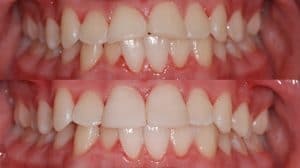 Teeth either side of the gap may move, causing them to fall out of line and become crooked, or the gap may be difficult to clean and cause decay and eventual bone loss. A gappy smile can also knock our confidence and impact on the way we interact with people at work and in our social lives. Dentist Dr Belinda Vohra understands the need for a complete smile. She is hugely experienced in placing dental implants, replacement teeth designed to look and function just like natural teeth and sit comfortably alongside your own – improving your looks, health and overall quality of life. 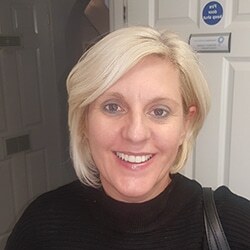 With 27 years of experience as a dentist, it’s reassuring to learn that Belinda has a reputation among her peers as an excellent clinician, having achieved an MSc with distinction Dental Implantology at Bristol University. She uses the latest in dental technology and has stuck to her evidence-based principles since she began placing dental implants in 2010. If you are in good health and are committed to maintaining a good oral hygiene regime – with our help, of course – you can expect stunning and excellent long-lasting results with the Straumann Dental Implant system that promises the gold standard in aesthetics as well as function with every placement. And what’s great to know is that the team at Coombe Dental are on hand to provide five-star quality pre- and post-operative care. If you’re interested to learn more, book a consultation with us today and we can discuss your suitability and put together a treatment plan. Many of us enjoy a little celebrity watching – even if we may not always admit to doing so. The internet gives us unlimited insight into the lives of the rich and famous and how they achieve their looks and style – with successful smile makeovers no exception. And these days, A-listers aplenty are seeking discreet teeth straightening in order to achieve those much-coveted ‘red carpet’ smiles. And celebs are not the only ones seeking teeth straightening. A recent survey by the British Orthodontic Society reveals that 75% of dentists are seeing a growing number of us wishing to repair our broken smiles. We have great news for you – Invisalign, the celebrity teeth-straightening treatment of choice, is now available here at Coombe Dental. The discreet Invisalign braces have straightened the smiles of many celebs, including pop icon Justin Bieber, Loose Women panellist Saira Khan, international star Khloe Kardashian and Hollywood actor Tom Cruise. The sequential clear, removable aligners have little impact on speech, eating and drinking and socialising. Plus, if you have a major event coming up, the braces are easily removable when it suits – although do be aware, the more regularly you wear them, the quicker you’ll achieve that smile of your dreams! Dr Richard Coates has extensive experience in cosmetic dentistry and now offers Invisalign treatments. We pride ourselves on the fact that we always offer patients the ‘gentle touch’. Non-invasive ‘no drill’ dentistry lies at the heart of our approach to your care and we have many case studies to illustrate how we can achieve great aesthetic and healthy results without damage to natural teeth. Dr Richard Coates has only been with us a short while but has already built up a portfolio of happy patients for whom the ‘soft touch’ has worked well. These composite build-ups he created for a teenage patient, who was unhappy with her worn front teeth, was completed without anaesthetic or drilling – and she left with a new smile and, according to her parents, fresh confidence. Smiling is the new ‘cool’! Psychologists have just discovered that the adverts that feature expressionless models have got it wrong – the sulky, closed mouth look isn’t the epitome of cool, but smiling is! A new study challenged the idea that concealing emotions was perceived as cool – a message often reinforced through advertisements where fashion models rarely smile. Experts at the University of Arizona showed people photographs of celebrities and non-celebrities who were smiling or inexpressive, and their results call into question common assumptions about what makes someone cool. 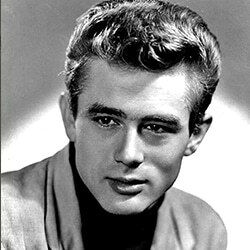 The models even included the ultimate in ‘cool’, the late great Hollywood icon and Rebel without a cause star James Dean, famous for his smouldering good looks and signature scowl. Happily, this revelation coincides perfectly with National Smile Month (14 May-14 June), which involves activities around the UK all aimed at raising awareness of the importance of a healthy – and cool – smile. At Coombe Dental, we pride ourselves on our advanced cosmetic dentistry and our family approach to dental care – both of which are delivered in a comfortable environment. As you have already experienced, access to our practice is made easy with an out-of-town location and our own car parking facilities – and you know that we will accommodate the needs of all our patients, whatever they may be. So surely, if something is this good, then isn’t it worth shouting about? We love that you place your smile in our care and with our passionate commitment to the promotion of good oral health and stunning smiles, then please don’t forget to let others know – we want to help look after the smiles of your nearest and dearest, too! Please do share our newsletter with anyone looking for a dentist – sharing is caring, after all!